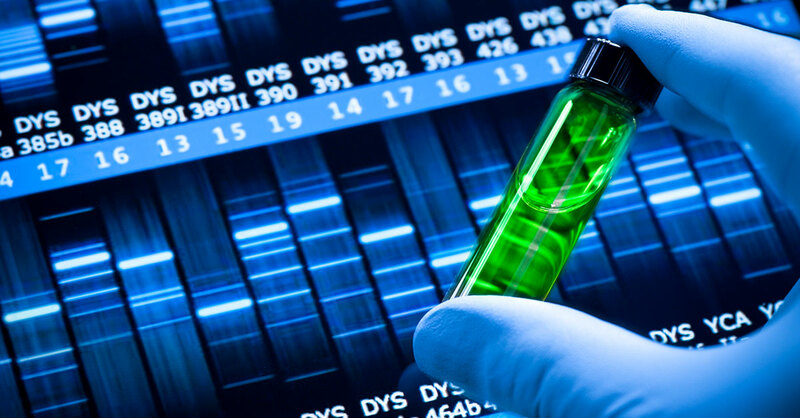 Getting a gene test can alert you to health risks. It can also give you a chance to influence those risks—for instance, by making lifestyle changes. Now intriguing research finds that what you believe about your genetic risk also affects your body—maybe more than your genes themselves do. Researchers at Stanford University wondered about the effect of just knowing about a genetic risk independent of any actual risk. So, they designed a study to see what happened if people thought they had a genetic risk that they didn’t really have. The researchers took DNA samples from about 200 healthy men and women (average age 25 years) who were told that they were taking part in a study of DNA and diet. The researchers actually were looking for either of two gene variants—one associated with low exercise capacity and one associated with obesity. Then half the participants ran on treadmills while they had their endurance and oxygen intake measured. The other half drank a liquid meal and rated how full they felt…and also had hormones associated with fullness and hunger measured before and after drinking the meal. One week later: All participants were given their genetic results, but only some of them got correct results. Among the rest of the participants, some who did not have a genetic tendency for low exercise capacity or obesity were told that they did…while others who did have either of those genetic variations were told that they didn’t have it. Participants who were told they were at high genetic risk—both those who really were and those who weren’t—also were given literature that explained the effects of their particular risk. For instance, those told they had a genetic tendency for obesity learned that people with that genotype produced less of a hormone that made them feel full…and those who were told they had a genetic tendency to low capacity for exercise learned that people with that genotype were “not able to perform as well” during exercise. Both groups then repeated what they had done the week before—either ran on a treadmill and had endurance and oxygen intake measured…or drank a shake, reported on fullness and had hormones measured. Participants told they carried the low-exercise-capacity gene reported feeling tired sooner and couldn’t run as long, even if that hadn’t happened during their first run—and their lung capacity was actually lower during the second run. For both obesity and exercise capacity, the physical response was stronger for participants who believed they had the gene variant but did not than it was for participants who actually did test positive for the gene for either condition. Does this new research mean that we can psych ourselves out of our genetic predispositions? Probably not. But it does cast an intriguing light on genetic risk. If you’re thinking of taking a genetic test, bear in mind that we all have genetic risks—so there’s a good chance a scare may await you. Figure out before hand, perhaps by talking it over with a close friend or loved one, how much you really want to know…and what you intend to do with the information. After you get the results: Let your primary care provider know what the test uncovered and discuss what it means for your health. Your doctor may refer you to a specialist, such as a genetic counselor, for a more detailed understanding of your genetic profile, as well as guidance for any next steps to take. If anxieties or worries about your health are overwhelming, consider talking to a psychotherapist. The geneticists on staff at the lab where you had your test done may also be able to answer general questions about the test and its health implications. Remember that we all carry genetic vulnerabilities—and strengths. Even if you do have a worrying genetic risk, your health destiny still isn’t written in stone. Life events and lifestyle choices can determine whether a particular risk gets “turned on” to become a health concern. And now it seems that keeping a healthy perspective might also give you a beneficial edge.